For the town in the province of Rome, see Gallicano nel Lazio. 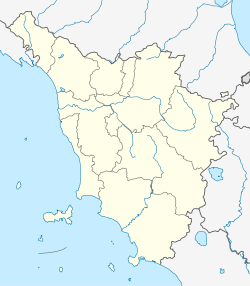 Gallicano is a comune (municipality) in the Province of Lucca in the Italian region Tuscany, located about 70 kilometres (43 mi) northwest of Florence and about 25 kilometres (16 mi) northwest of Lucca. The municipality is located in Serchio Valley, on the right bank of the Serchio River. Gallicano borders the following municipalities: Barga, Borgo a Mozzano, Castelnuovo di Garfagnana, Coreglia Antelminelli, Fabbriche di Vallico, Fosciandora, Molazzana, Fabbriche di Vergemoli. Wikimedia Commons has media related to Gallicano (Italy). This page was last edited on 30 June 2018, at 08:18 (UTC).